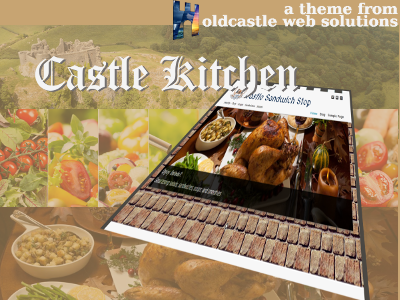 Castle Kitchen is a child theme of our base theme, Qohelet. For that reason, it is required that Qohelet be installed, in order for Castle Kitchen to work. The Castle Kitchen theme also makes use of the OCWS Slider plugin, to produce front page slides, though the theme will work without this plugin, if sliders are not required. The theme was designed specifically for the Castle Sandwich Stop – a soup, sandwich, and salads shop in Castle Rock, WA. As with my Wordpress projects, the code is being stored in GitHub. If you want to try helping, you would be very welcome, but please fork the code, so that we can all be clear what is going on. Qohelet will be automatically updated, if you also install the Github Updater plugin.